Jaws. Rest in peace brother. I haven't been able to confirm this (His cell phone is shut off), but the details match. He's a really good guy and one of my favorite people here. Rest in peace brother. Re: Jaws. Rest in peace brother. I'm just sick. I have no words. Jeff touched my heart, many times. I just can't go here!!! But I didn't get to say all I wanted- I mean... Oh dang. A good person has left this world. He will be missed. That is to bad. He will be missed here. Sorry, to hear! for his family and friends. I'm on vacation until I get back. RIP. Respected his posts and our PM's here. Joining shaft and string triggers an acute awakening of latent senses unknowingly neglected. Intimate distance is the name of the game. I sent him a note several years ago asking if I could get some hop starts since he is/was a hop mogul. My son and I went over and got 4 variety of hops from him and I have been tinkering trying to get them to look like Jeffs fields. Jeff invited us into his man cave. Filled with tons of model airplanes, big screen TV and lots of video games. One heck of a nice guy, he even gave my son a fishing game for the Wii. I remember that day, Roy. You and your son, Amp and I all got hop rhizomes from Jeff that day. Sad news indeed. My thoughts go out to his family and friends - it always seems so much more difficult when there's still so much time left on the meter. That's just not supposed to happen. Blessing on him and his family. Jeff will be missed by more people that you could count. I remember that day as well. Jeff was super nice and very helpful. Alas, the Mt. Hood didn't make it but the Cascade is still going. The fresh hop IPA will be just a little more bitter from this news. Sad to hear, may he R.I.P. He will be missed both on here and in the local farming community. This just pure speculation on my part, but Jeff had a known heart condition. He was hospitalized several times because of it since I've know him. This intersection was very near his house. He knew it well. The accident happened in broad daylight, around 9 AM. Thoughts and prayers go to his family and friends. I always enjoyed his avatar. From reading the description of the accident site, that was my first thought as well. I didn't know him, but it's sad to lose one of our own nonetheless. Find More Posts by Ni! Sailors may be struck down at any time, in calm or in storm, but the sea does not do it for hate or spite. She has no wrath to vent. Nor does she have a hand in kindness to extend. She is merely there, immense, powerful, and indifferent. Wear a PFD if you want to live. CCA Life Member. NRA Life Member. So sad...may he RIP and prayers for his family. Jeff expressed a particular kindness to me at a difficult time in the past. He was a good man, who will likely be deeply missed by those near and dear to him. My deepest sympathies are with them. So sad. Hate to read these things. I only knew him on this forum but he had a special place in my heart. He paid me the nicest compliment I ever received on this forum. I'm so sorry/sad to hear this news. 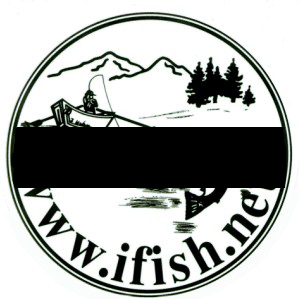 I'm sure he's now an IFish angel, looking down on us with his kindness. Jeff lived not too far from where this happened and had been through that intersection thousands of time. This happened just down the road from me and it has been the site of many accidents over the years. I played a little ball with Jeff many years ago and I know lots of people that knew him very well. My niece mentioned seeing the accident sceen as she was going to work but we had no idea who was involved.Hops and the Weathers name is synonymous in the area. Jeff and his family have been a fixture in the Mission Bottom area for many many years. Prayers for his family and friends (who are many) at this time. The last thing Jeff said to me (via PM) is "Where is Cool Texan when I need him?" I wrote Cool and let him know, as he doesn't hang here much, anymore. Praying for his family and loved ones. Thank you for the reminder. Just did the sticker on the truck. This just floors me. I'm so sorry to hear about Jaws passing. Tight lines, sunny skies, and lots of big fish Jaws! Hoping to do some more fishing. Wow....how sad, my prayers to his family and friends. I met Jeff a few times, and had many PMs back and forth. Jeff had a great sense of humor, and was so witty he was very fun to be around. I will always remember the day he fished with me, it was a very nice fall day, we were trolling upper Tillamook Bay, we had been joking around, and coming up with funny catch phrases. Jeff was standing in the front of the boat, he jumps to the rear of the boat, grabs the rod that was to my back and says something to the effect of FISH! He battled the fish for quite sometime, it was the type of battle I love the most, that is when the angler gets so excited their knees knock. 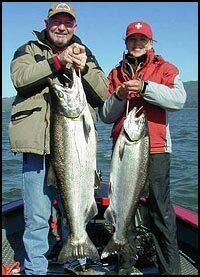 Short of the long we net the fish, Jeff says thats the biggest salmon I have ever caught. He was so pumped up! I wish I would have thought as often of him, as I am now that he is gone. I always liked Jeff, and when he wrote me, I appreciated it. But, now that he is gone, I wish I could write to him every day. I'm just sick... Jaws was a great guy as mentioned by many in this thread. I always enjoyed his posts, his wonderful use of sarcasm, humor and wit -- and appreciated the opportunities I had to interact with him in person. Jeff, may you rest in Peace and we'll see you again someday. As Jennie mentioned above, Life is just too **** short. Live it to the fullest -you just never know when your number is up. If you're not taking flak... you're not over the target. I thought I would pass on that I talked with some of the family today and they are doing as well as can be expected. I have known Jeff and his family for many years and wish we could have hooked up to fish but timing did not work out to well. He was kind enough to let me and my son shoot dove on his property and then join him for a laugh after we were done. I was the fourth officer on scene and although it was hard for me it helped the family knowing that a friend was there to help communicate. I will pass on to the family all your thoughts. April 9, 1957 - September 16, 2010 KEIZER - Memorial Services will be 10 a.m., Saturday, September 25, 2010, at Keizer Civic Center, 930 Chemawa Road, Keizer, Oregon. Reception will follow. Arrangements entrusted to Keizer Funeral Chapel. Wow how sad, jeff helped me out back in 2007 when i posted a need for a generater to take to the coast for my family after a big storm, never met me before but offered it up no problem, got to see his wonderfull farm and man cave, tight lines and easy limits. Last edited by Willis; 09-23-2010 at 03:43 PM. Went to High School with Jeff. Always the class clown, had the coolest Firebird in school, always a smile on his face and a wisecrack to share. One of the good guys that left too soon.